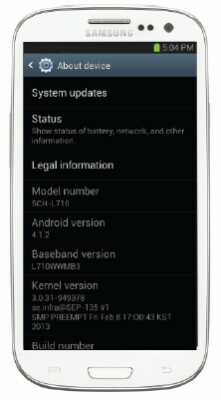 Now that the calendar has flipped over to Wednesday, C Spire customers totin' the Samsung Galaxy S III will start receiving the Android 4.1.2 update that will include the Premium Suite. The latter includes a number of popular features such as the multi-window multitasking feature, enhancements to S Beam and Reader Mode to name a few. 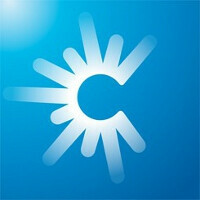 The latter allows you to change the size of the text on your browser. And ripped from today's headlines, as they say on television, the Premium Suite comes with a low-light-shot function that allows you to snap a picture in less than optimal lighting. The Android 4.1.2 update also brings those three features that Jelly Bean is known for. Project Butter makes the scrolling on the screen as smooth as, well, butter. Google Now pushes out cards with information you need when you need it. Time-saving actionable notifications allow you to read emails and reply to them, as well as view photos and videos, directly from the notifications shade. And the Camera, Best Face lets you take 5 pictures of a group picture and then select the best facial shot for each member of the group. 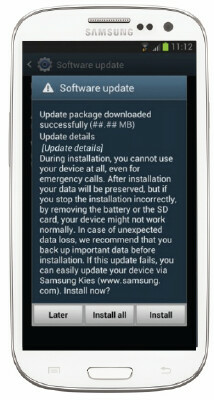 The Android 4.1.2 update with the Premium Suite is coming to C Spire's Samsung Galaxy S III via an OTA update. If you're impatient and don't want to wait for it to hit your phone, grab the ol' USB cable, sync your Galaxy S III to a PC or Mac, and pull the update out of Samsung Kies.